The shooting shelter has individual shooting bays where you can step forward into your station, shoot from a variety of positions with complete safety and concentration, then step back and compare what a lousy shot it was with your pals. The shelter is covered and the usually open sides can be covered if the weather is really bad. Your course will start with the safety briefing and any safety equipment will be issued. The targets are a range of distances from 7m to 30m (7m being the closest for the youngest). 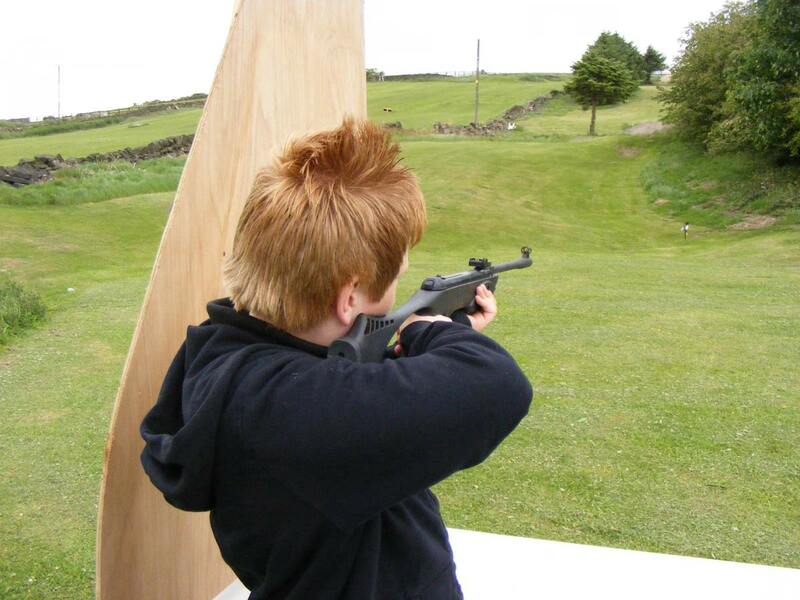 There are a variety of targets all designed to improve your shot whilst keeping you entertained throughout the course. They vary from standard static targets (you can take home your best ones) to knock down and spinning targets plus some more unusual, interesting ones. 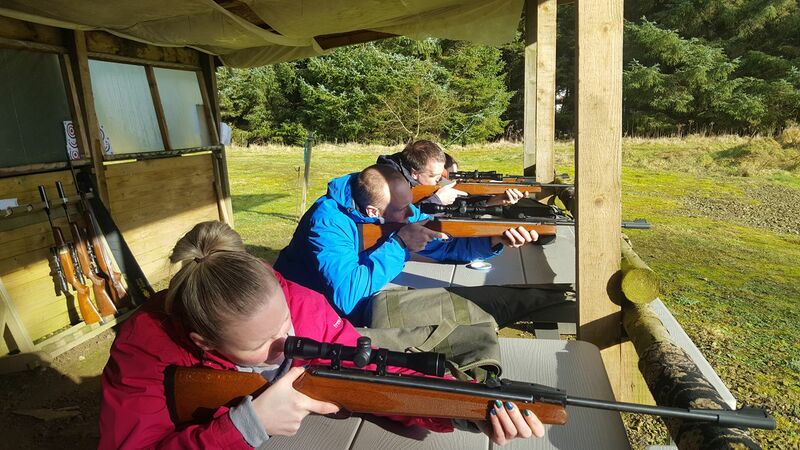 Our weapons are all the best quality, cleaned and checked before and after every outing, they have been selected as the best weapons for our courses, all have safety catches, Junior rifles are very light, shorter and slightly less powerful so easier to load. They are all single shot and open sighted and have an automatic safety catch. 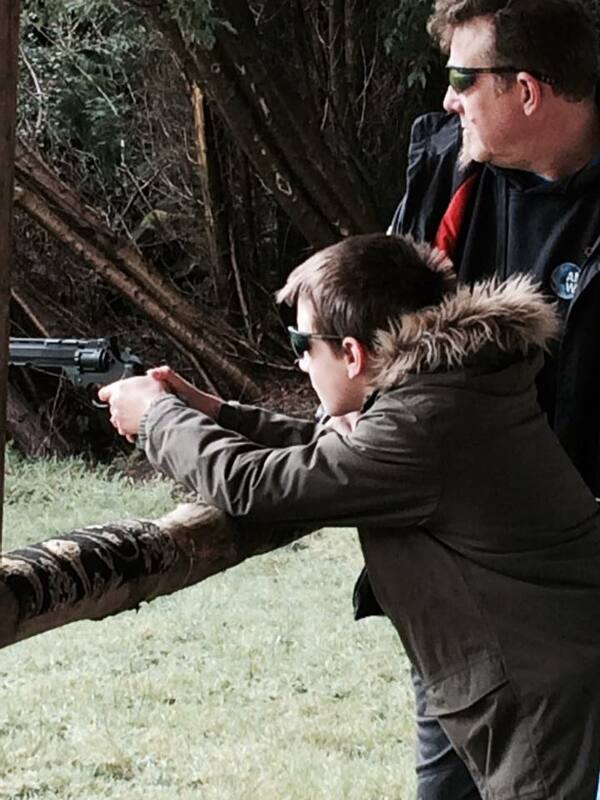 Junior pistols are again single shot and open sighted. Intermediates will start with whatever weapons are more suitable as many kids in this age would do better with adult weapons. The choice is strictly up the instructor not the participant. 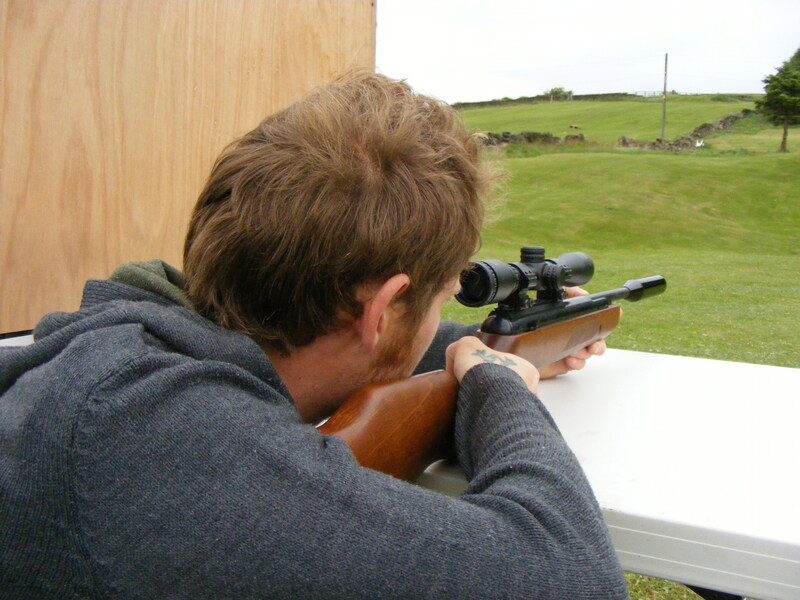 Adult rifles start with the open sighted rifles and move up to the scoped, silenced weapons. Pistols are multi shot, gas assisted automatics. Both are manual safety catches. This is recommended for: Families, couples, friends and smaller groups.